Some of us get really into DIY projects and home improvements, always attempting to better the overall atmosphere of a room. Whether it’s a lick of fresh paint, a sprinkling of flowers or strategically placed candles, putting a bit of thought into how a room could be improved can turn into a significant transformation. But how much of a difference does this stuff really make? Turns out, quite a lot. Everything in our environment subconsciously has an effect on our overall mood. Colours are a big one, as is clutter, design and lighting. The shape of a room alone can have an affect how we feel. Long narrow rooms for example emanate a claustrophobic vibe, unsettling even the mellowest personality given enough time. There’s a reason why bay windows are so attractive. They open up the room, adding charm and dimension to any property, often providing the perfect nook for reading or relaxing. Because of their design, they also invite more natural light into the room for more of the day. I’d love a bay window myself, but it’s certainly not necessary in order to fully appreciate your living space. Simply giving your pad a bit of TLC doesn’t have to come at a high cost or become a massive project, and the benefits result in a better mood just for being there. Nothing is more welcoming than coming home after a long day to your favourite personalised place. Creating an area that promotes positive feelings is going to improve sleep patterns, mental health and productivity. It’s also just nice to feel nice! Not everybody is working with the same tools or able to change much about their home, especially if they’re renting or sharing. However, take a good hard look at where the furniture has been placed, what could be stored away or tidied up. What do you use on a regular basis, and what could be stowed away in order to create a more open, de-cluttered space? Sketch-out the room as it is on a blank sheet of paper. 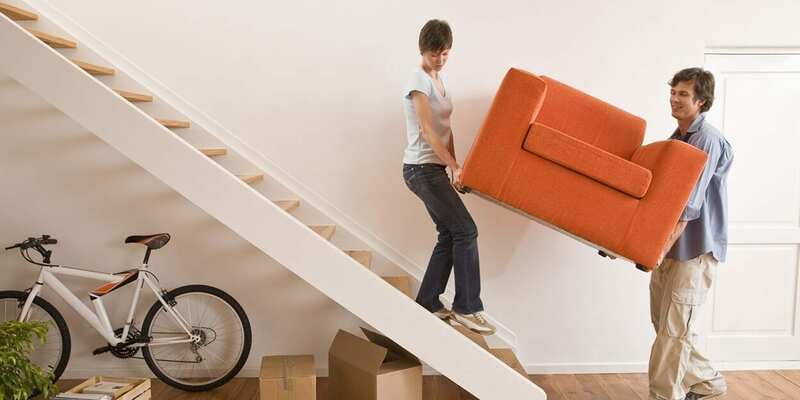 Consider the dimensions of each piece of furniture, draw it out again but relocating or removing furniture this time. Using a pen and paper before choosing a plan of action could save you a whole lot of wasted time. One of the most frustrating occurrences when changing the layout of a room, is having spent half a day re-arranging, only to find that the room is now worse off, or non-functional. What is it you love doing at home? Or would love to start doing? Have you wanted a generous area to practice yoga or dance, or a place you can get creative? Are you a real bookworm who lusts after cosy places to curl up and lose yourself in a good story? Make sure you’re re-arranging your home to fit your needs, not just so it looks nice. It has to be practical as well as aesthetically appealing, otherwise there’s no point. For me, it’s yoga. 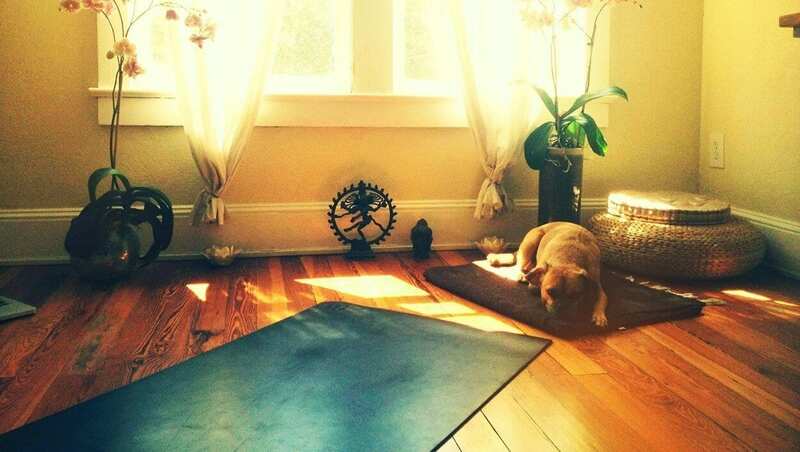 If there’s nowhere spacious, clean or decent enough to whip out my yoga mat, stretch and relax, I get really irritable. An immaculate, soft, de-cluttered area, preferably close to a source of natural light is my ideal way to start any given day. I need my headspace to feel de-stressed as well as my body in order to easily get into deep relaxation or meditation. Personally, I like my place to be mostly calming, complimented with energising accents. 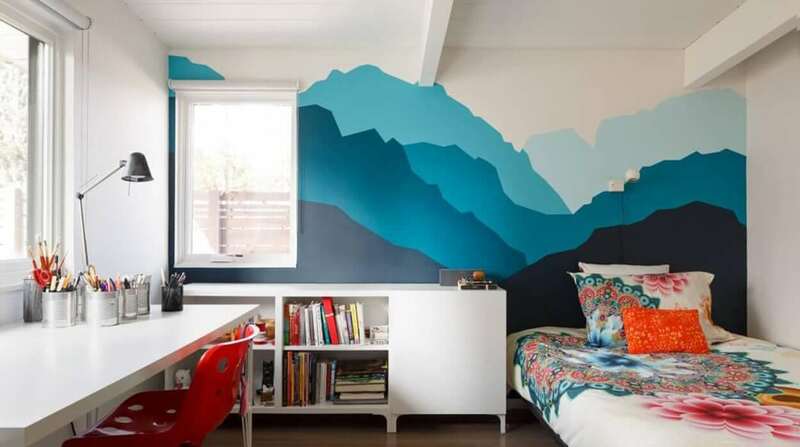 I want my place to feel like a bit of a fantasy land, like you’re walking amongst the clouds on a turquoise-tinted morning, or out at sea on a Caribbean island. Maybe just a stroll to the lake to feed the swans, with my duck egg wall paint and framed pictures of pretty flowered fields. You could also opt for electric candles and avoid a naked flame altogether, such as these found on amazon.co.uk. 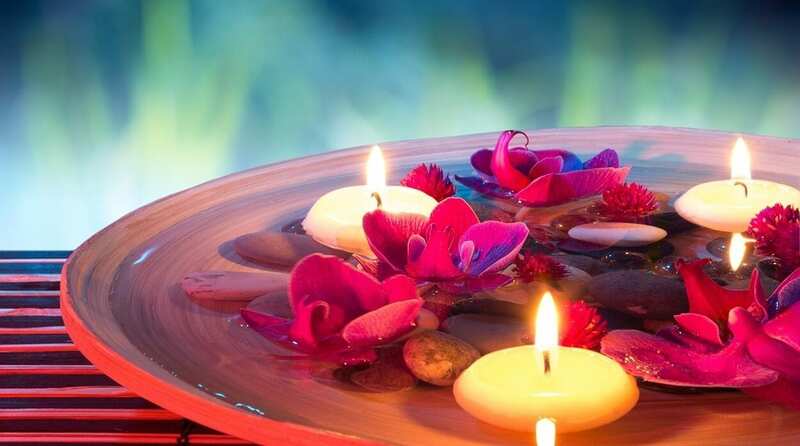 A really soothing way of displaying candles is by using tea lights and floating them in a clear bowl of water, which has been sprinkled with rose petals or coloured marbles that sink to the bottom. Hello luxury! No matter what stage of life you’re in, we have something suitable for your situation and interests. Yoga, Mindfulness, Professional Relaxation Therapy, Philosophy and Stress Management are just 5 of over 60 quintessencial holistic health courses that seamlessly compliment each other and are available for people with any level of education, at any given career point – all with internationally-recognised diplomas. Here at The School of Natural Health Sciences we want to enable extended education in holistic practices as much as we possibly can. Because we feel so passionate about spreading the holistic lifestyle, we’re offering all of our courses as part of our 20th Anniversary celebratory offers. These are our best bargain packages to date, and can be accessed by all new students, as well as existing ones. See all offers here. We are confident that our flexible approach to schooling enables our students to produce their best work, free from the constraints of stressful deadlines. To see what our past students have to say about their time with us, check out our Student Testimonials Page.